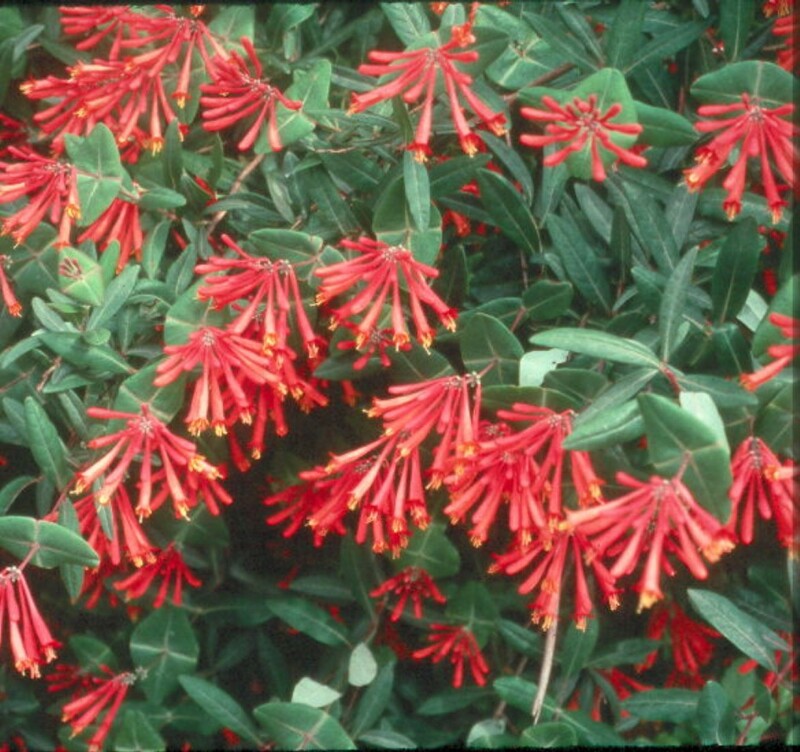 Comments: On of the showiest of the vining honeysuckles with scarlet red flowers in spring. Attract hummingbirds and butterflies with its nectar and birds of many species with its red fruit in late summer and fall. Use on fences, trellises, arbors, and other structures.